Hi! 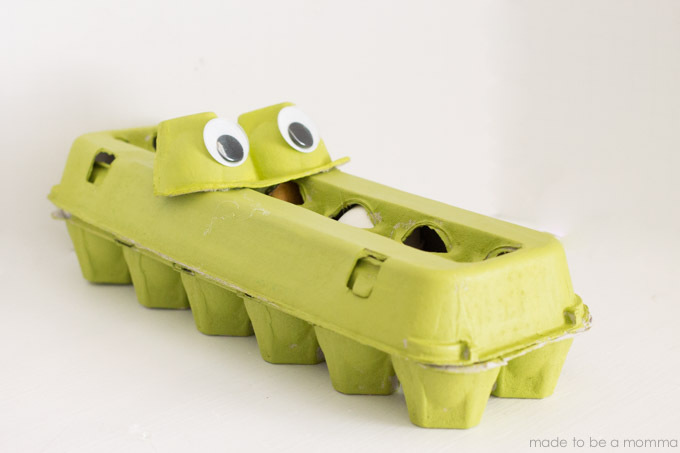 It’s Katie from Made to be a Momma here to share a fun and simple crocodile snack tray. My oldest son Jacob tends to be a picky eater but when I make trying new foods more fun he is definitely more willing to try it out. I have seen the idea of using an egg tray as a way to serve finger food to kids but I decided to take it up a notch! 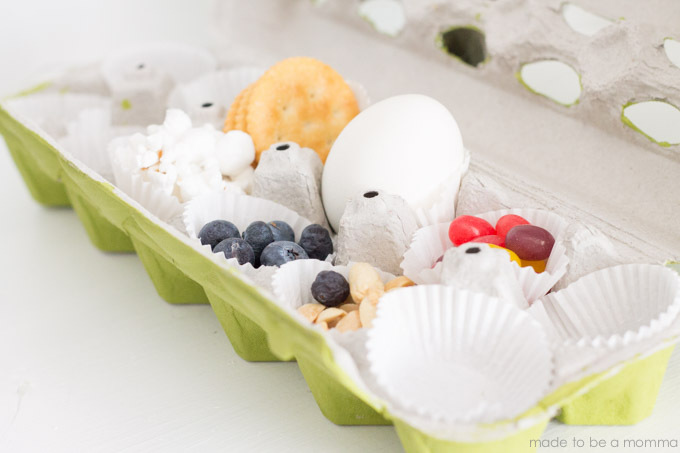 Paint your egg carton your desired color. Since I was making a crocodile I painted mine a vibrant green. 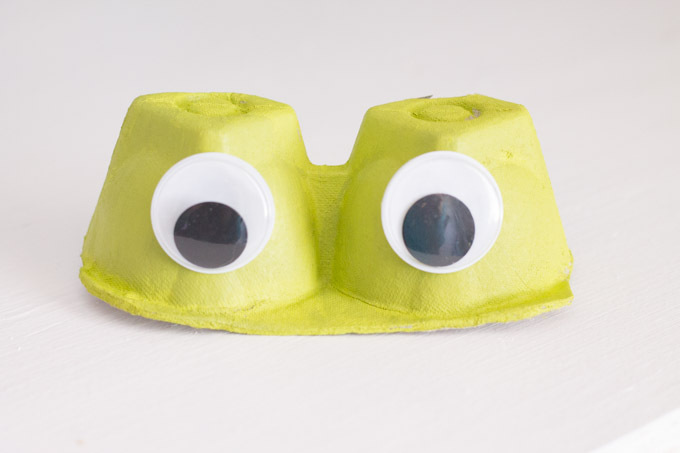 Paint the carton eyes the same green color and attach googly eyes with glue. 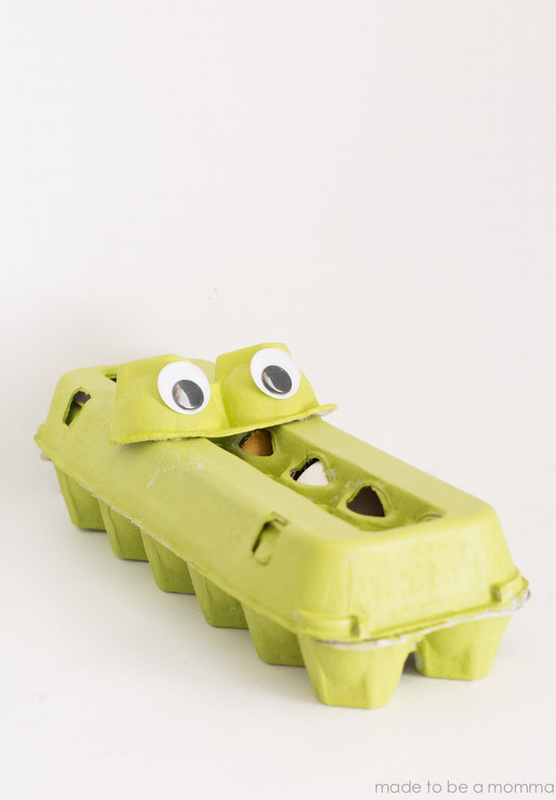 Glue the alligator eyes 3/4 of the way back from the front of the egg carton to give him the classic alligator look. Such a fun way to get picky eaters to want to try something new. My boys loved putting their little toys in the carton too.